Complaints and concerns abound, but remedies are slow in coming. Dermatologists and practice staff daily must surmount numerous administrative hurdles to help ensure that their patients receive recommended care and treatment and that the patient’s insurance plan covers what’s been prescribed. Many dermatologists report that in recent years an impediment that was once an annoyance—prior authorization for prescription drugs—has become a major roadblock. Not only are the number and types of drugs requiring prior authorization (PA) increasing and everchanging and health plans’ formularies widely variable, the associated processes have become more burdensome, dermatologists report. Often, they say, there’s no clear sense of what’s driving the need for PA or the reason for a denial. The issue, many dermatologists claim, is that there’s often little rhyme or reason for why a prior authorization is required or clinical rationale provided for why a drug has been denied following a dermatologist’s PA request and provision of requested documentation. And in some cases, the drug that a plan approves as a first-line therapy might be outdated, ineffective, or possibly even unsafe for the patient, several sources interviewed for this article claimed. “Why does my patient have to fail a drug that a lot of published data show doesn’t work well for psoriasis, to be able to get one that evidence shows does work? And why should I prescribe methotrexate, which can wipe out your bone marrow, when we now have safer alternatives?” asks Mark Lebwohl, MD, chair of the department of dermatology at the Icahn School of Medicine at Mount Sinai in New York City. The insurance plan sector, while recognizing that PA processes can impose burdens on physician practices and that there’s room for improvement to reduce the hassle factor, maintains that such controls are required to prevent unnecessary and potentially harmful treatment. “These tools are actually in place to ensure that people get safe, effective care, and if all things are equal in terms of safety and efficacy, why not have the lower-cost [drug] option?” says Kate Berry, senior vice president for clinical affairs and strategic partnerships at America’s Health Insurance Plans (AHIP), a national trade organization. Ms. Berry notes that AHIP recently convened a forum including provider organizations to seek ways to streamline PA, and that AHIP, in concert with the American Medical Association, American Hospital Association, the Medical Group Management Association the American Pharmacists Association, and other groups, developed a consensus statement on steps toward improving PA processes. “It was encouraging, because I think that everyone recognizes that we can’t just eliminate prior authorization because it serves an important need—which is really around safety and quality improvement more so than a cost tool,” she says. That consesnsus statement calls for plans to improve PA communication channels and accelerate use of electronic prior authorization. Further, Ms. Berry says that plans, working with their medical officers, take evidence into account when making formulary determinations. She also noted that only 15 percent of drug prescriptions are subject to PA and that most plans are committed to annual—and in some cases, quarterly—review of drugs and treatments that require PA. This year, AHIP is launching a demonstration project with some plans to identify ways to improve PA processes for all involved through automation, Ms. Berry adds. The project involves incorporating clinical guidelines into PA systems and making PA rules for multiple payors available through electronic health record (EHR) systems or a multi-payor portal. 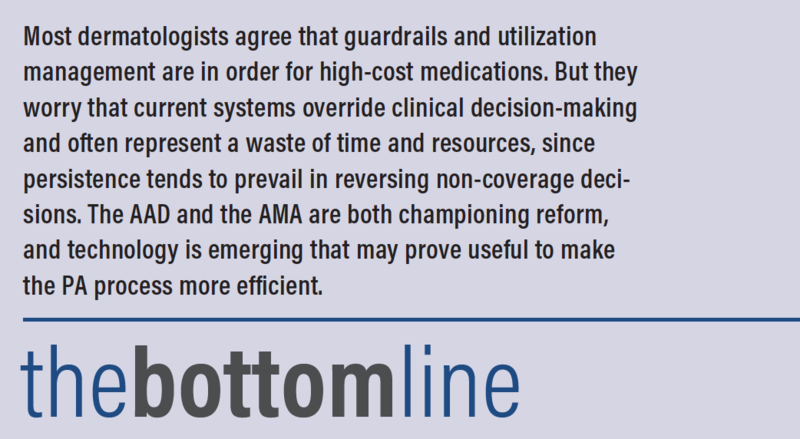 There is little disagreement, even among dermatologists, that guardrails and utilization management are in order regarding use of high-cost medications. But there’s considerable contention about how far such mechanisms should go, and which circumstances warrant having a system—any system—that overrides clinical decision-making. Many dermatologists report that because they generally prevail in getting drugs approved if they persist throughout the PA and denial process, they question the value of the time expenditure that they—and insurance plans—make. Bruce Brod, MD, a clinical professor of dermatology at the University of Pennsylvania Perelman School of Medicine, is not convinced that safety and efficacy are the key drivers that land drugs on the PA requirement list. He also thinks that drug PA requirements, as they’re structured, overstep reasonable bounds and interfere with clinical decision-making. The safety argument doesn’t wash with Dr. Lebwohl, who has long advocated for greater transparency around the economic forces and market factors behind drug pricing practices. “Safety is never the plans’ main concern in my experience, and how they determine which drug goes first on the formulary has nothing to do with safety or efficacy,” he says. “If it did, why would my patients have to fail four drugs to get approval for one that my experience tells me will work?” Dr. Lebwohl claims that plans’ formulary decisions are dictated more by behind-the-scenes agreements between the plans and either manufacturers or pharmacy benefit managers (PBMs), which are now coming under greater scrutiny. Several dermatologists cited onerous and, in their view, potentially dangerous requirements that patients with moderate to severe illnesses fail multiple drugs, including ones they’ve tried before, before being permitted to use the one the dermatologist initially prescribed. They also report waits of up to three months or longer to get through denials and appeals to get a patient’s medication approved—if that ever actually happens. These concerns are the focus of several states’ attempts to rein in insurers’ onerous step therapy requirements. Several sources interviewed for this article concur with Dr. Porter’s view on PA systems’ interference with prescribed treatment regimens, and many objected to the perception that dermatologists fail to take drug costs into account when treating patients. Dr. Brod says that when making treatment decisions, he “puts the patient first” but also uses good stewardship regarding the cost of the treatment. “I carefully weigh all of those factors, and I think physicians have the training, education, and knowhow to make judicious decisions. Insurance companies aren’t providers, so when they impose those rules, they’re acting as medical decision-makers,” he says. Besides delaying access to treatment that might improve the patient’s condition, navigating PA constraints introduces significant inefficiency, several dermatologists reported. Dr. Porter notes that even after BIDMC introduced an intervention—bringing in a full-time highly experienced pharmacy liaison to help manage PAs for specialty drugs—as part of a study, and incorporated a default automatic substitution for some drugs requiring PA, approval rates and denials did not decline. Nor did overall practice burden decrease. This suggests that PAs “were increasing over time,” Dr. Porter says. When asked about their concerns with insurers’ PA requirements, dermatologists cited the overall sense that their specialty is being particularly and disproportionately hard hit among clinical specialties by the increase in affected drugs—an observation with which many pharmacists concur. Antonio Ciaccia, director of government and public affairs for the Ohio Pharmacists Association, said that members report that drugs prescribed by dermatologists, rheumatologists, and HIV/AIDS specialists are far more subject to highly stringent PA requirements than those that other specialties prescribe. Members also report significant challenges with PA programs generally, in terms of the many hoops that pharmacists and physicians must navigate. Continued usage by many plans of notoriously inefficient and burdensome fax-based systems for PA processes and communications, frequently resulting in delays or claims by plans that paperwork has not been provided. Requirements that dermatologists, to avoid the PA cycle, choose on-formulary medications—particularly for conditions such as psoriasis, atopic dermatitis, and acne—that are outdated, unsafe, ineffective, or medically inappropriate for the patient. Frequent lack of a clear pathway or designated contact person for discussing PA denials and/or lack of information provided to the dermatologist on the plan’s rationale for denying a medication. Significant issues obtaining approval to use non-FDA indicated medications for pediatric patients, in light of the reality that few dermatologic medications include a pediatric indication, even though many are safely and routinely used in that population. An ever-increasing resource requirement and financial burden on practices to handle an increasing volume of PA requirements—work that is costly and uncompensated. Many dermatology practices have had to hire PA-dedicated staff in recent years. Considerable variation among plans in PA requirements and processes and request-turnaround times, and in the medications that are approved (or not approved) as first-line therapy in formularies, with no ostensible reason for the choices. Another system inefficiency that impacts dermatologists and pharmacists is the fact that there’s often no closed communication loop among the parties involved and affected, and scant consistency among plans in which medications require PA and which are approved or denied, according to Anne Burns, RPh, vice president of professional affairs for the American Pharmacists Association. “A pharmacy may get notice that PA is required. But that PA must be navigated by the physician, and the pharmacist gets no notification of why PA is required,” she says. Thus, the pharmacist is unable to communicate the rationale to the physician or to know where in the PA process a prescription stands. The PA process can become so convoluted and protracted, Ms. Burns says, that many patients just give up trying to get their medications. “A recent survey of pharmacists found that 25 to 30 percent of patients abandon their prescribed therapy because of time lags,” she says. Further, patients with urgent needs for treatment often are extremely confused about who is “at fault” when access to treatment is delayed by PA or when a PA request is denied, sources says. And many patients express their frustration to practice personnel. Several sources, including Dr. Bennett, mentioned that it’s often difficult to determine which drugs will require PA and what formulary alternatives are. Ms. Berry of AHIP says that health plans make such information available, “in multiple ways and formats,” to both physicians and members, and notes that technology solutions are available that help “surface” formulary detail in EHRs. The issue, several dermatologists claim, is that it’s often challenging to readily access up-to-date information at the point of care. 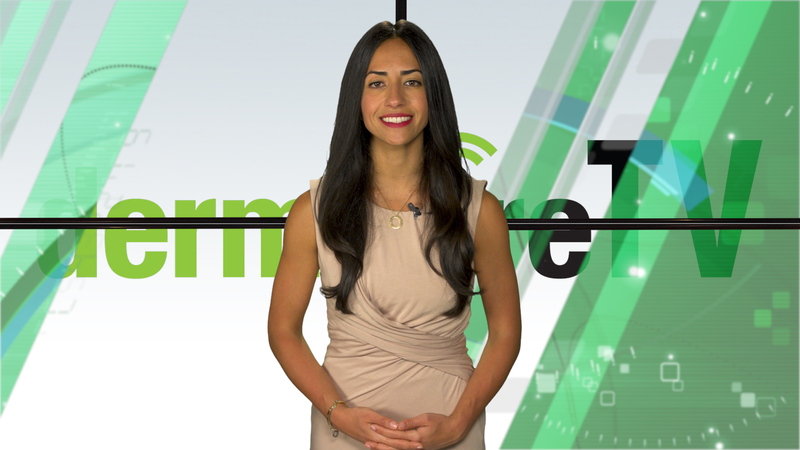 There is some positive news about what’s occurring and what’s ahead in the prescription drug prior authorization realm. 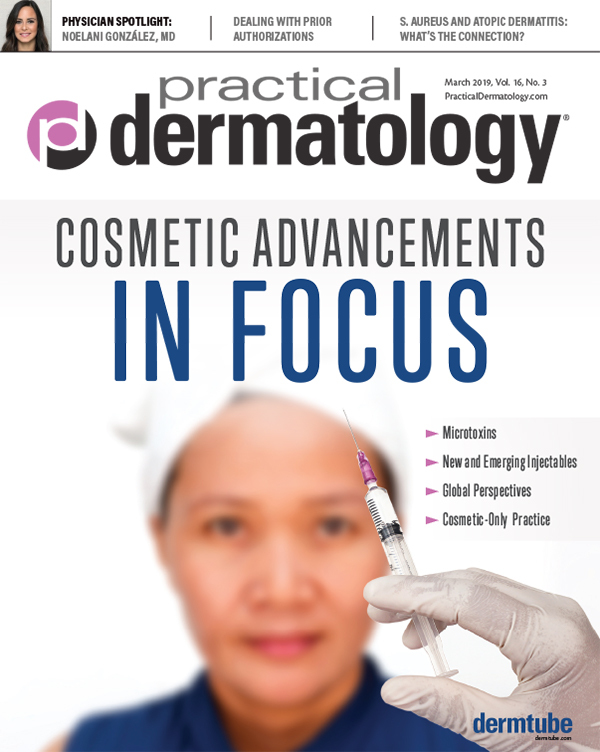 The American Academy of Dermatology (AAD) has developed several tools, including templated PA letters to address drugs commonly requiring PA, as well as resources to help dermatologists communicate with patients about why PAs occur and what they [patients] can expect in terms of possible treatment-access delays. The tools are available through AAD’s Practice Management Center. AAD has been very active nationally in increasing awareness among elected officials and policymakers about PA issues that delay patients’ access to appropriate treatment. The academy and state chapters have collectively pushed for legislation to make insurance plans’ step therapy protocols more clinically appropriate, less burdensome, and more protective for patients. Nineteen states now have such legislation either signed or in the works, according to Maryland dermatologist Lawrence J. Green, MD, who chairs AAD’s state policy committee and has been involved in drug-pricing transparency initiatives. The American Medical Association (AMA) has been active on the PA front as well. In January 2017, it formed the prior authorization reform coalition representing physicians, medical groups, hospitals, pharmacists, and patients, and published principles intended to reduce the administrative burdens associated with PA. That effort helped jump-start discussions with the health insurance industry, the AMA reports, and led to the development in January 2018 of the consensus statement that AHIP’s VP Ms. Berry cited. In addition, some insurance plans are moving ahead on their own with technology solutions to streamline PA processes. For example, Independence Blue Cross in Philadelphia has implemented a tool called PreCheck MyScript that provides a real-time view into patients’ pharmacy benefits—including members’ costs and therapeutic alternatives—and integrates directly with several EHR systems. It also enables physicians to request PA on the spot. On the technology front, several companies have launched or are developing solutions aimed squarely at reducing the hassle associated with prescription-drug PA. One is CoverMyMeds, an Ohio-based company whose platform essentially takes over PA tasks and uses features such as customized question sets, auto-populated provider and patient information, and auto-determination functionality. It’s available at no cost to physician practices and pharmacies and covers most US health plans. Advanced Dermatology & Skin Cancer Center in New Albany, OH, has reduced the time expended for PA tasks by more than 80 percent with use of the tool, according to its practice manager Barb Robison. “We used to spend a lot of time on the phone dealing with PAs, and CoverMyMeds has made a huge difference because PA management can be so labor intensive. It’s also reduced the turnaround time on PA requests,” she says. Ms. Darves is a Seattle-area independent healthcare writer and editor.